These things are important because I like them. Guess what, guys?! I read, like, twelve comics last week! That is HUGE for me! Stuff is really happening! 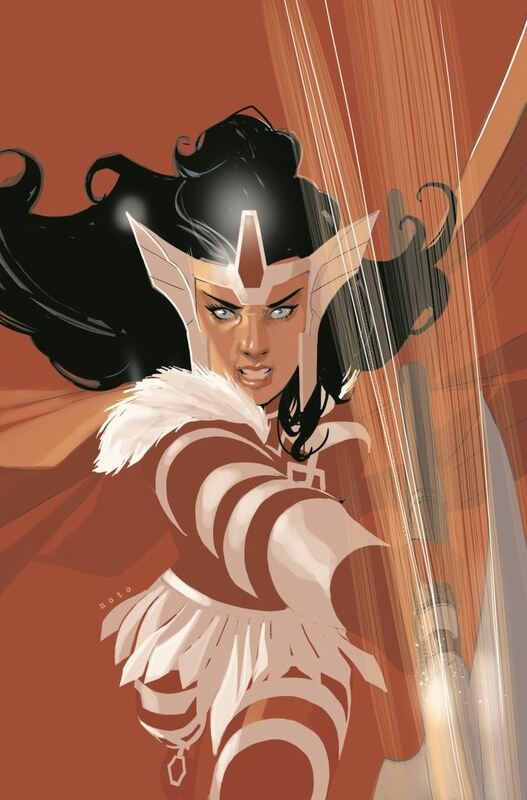 The incredible Phil Noto did a staggeringly awesome cover for Journey into Mystery featuring Sif and you need to see it. Next, more awesomeness: Peter V. Nguyen’s new DC women print is here and, uh, wow. It’s too big to embed here and I didn’t want to re-size or scrunch it up, so check it out in full-size glory at the link. Also, if you followed the 2012 Olympics at all, you might find this as hilarious as I did. I am totally buying this cover. Finally, one thing I’ve been meaning to mention again since back in July is a project called How i Made the World. You may recall I linked to the comic earlier this year as an “honorable mention” in the list of web stuff I’d been following. 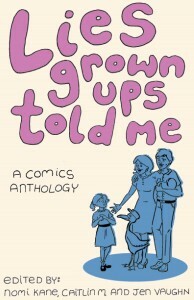 The artist of the comic, Randy Michaels, was kind enough to send me some of his and writer Liz Plourde’s material that was published in an anthology called Lies Grown Ups Told Me. That collection wound up winning a Stumptown Comic Arts Award for Best Anthology. It’s some pretty great stuff, and if you can get your hands on a copy (it seems the print run was low, so that might be a task), I’d highly recommend the read. We’d discussed applying for a Xeric grant since we first began work on How i Made the World. When we heard there would be one final comic book review, we knew we had to apply. Yet, we also knew the competition would be fierce. Entries from throughout the U.S. and Canada are judged on “originality, literary and artistic merit, and a sense of commitment to the work.” […] Today, we’re thrilled to announce we are the recipients of a 2012 Xeric Award. The grant is to be used for the printing, advertising, and distribution of our comic book, the pilot issue of How i Made the World. We’ve enjoyed the comic books of past Xeric recipients for years. They are among the most entertaining and innovative independent comic books being published, and they are often included in Houghton Mifflin’s annual The Best American Comics. We’re deeply honored to be among those recognized by the foundation. We’ll be working on the final stages of our comic and preparing it for press in the coming months. Stay tuned! This is only the beginning. So here’s a late congrats to the team, and I look forward to reading more! This entry was posted on 10/02/2012 by ravenhaired. It was filed under Awesomeness, Comic books, Female Characters / Creators and was tagged with Badassery, DC, Deadpool, Journey into Mystery, Marvel, Peter Nguyen, Phil Noto, Sif, X-Men.